YouTube Music was launched in India a week back and people are starting to like this service for its ease of use and variety of features for the paid subscription. 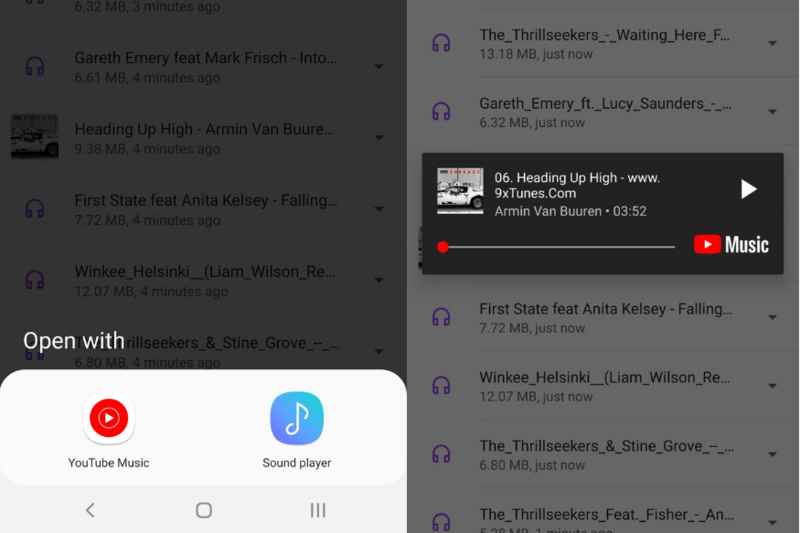 Now users can also make use of a new feature similar to Google Play Music, for playing local audio files stored in the file manager of your Android device. This is very handy if you listen to more of offline songs. For users who are still deciding on which music streaming platform to choose between Spotify, Amazon Prime Music, Apple Music and YouTube Music, this feature will prove to be an advantage for the company in the coming weeks. But, you do not have any option to play the local audio files from inside the App, which is the only shortcoming for YouTube Music. Users will see an option to play the audio in their file manager via YouTube Music, just like how they used to previously see Google Play Music. Youtube Music is currently offering a one month free trial for the users in India followed by a paid YouTube Premium subscription of Rs 129 per month which also includes the Music App. While lossless-loving types will probably stick with applications that have better library management for local playback, in a pinch, the new YouTube Music app can do the same when paired with something like a file manager. Any time that you need to play back a local audio file, YouTube Music can now pick up where Google Play Music left off.